so you want to know the best part about planning a wedding? everyone wants to help! early on in our engagement my nieces indicated a strong desire to contribute to the wedding. my mom came up with an idea: have them make pot holders as favors for the guests. 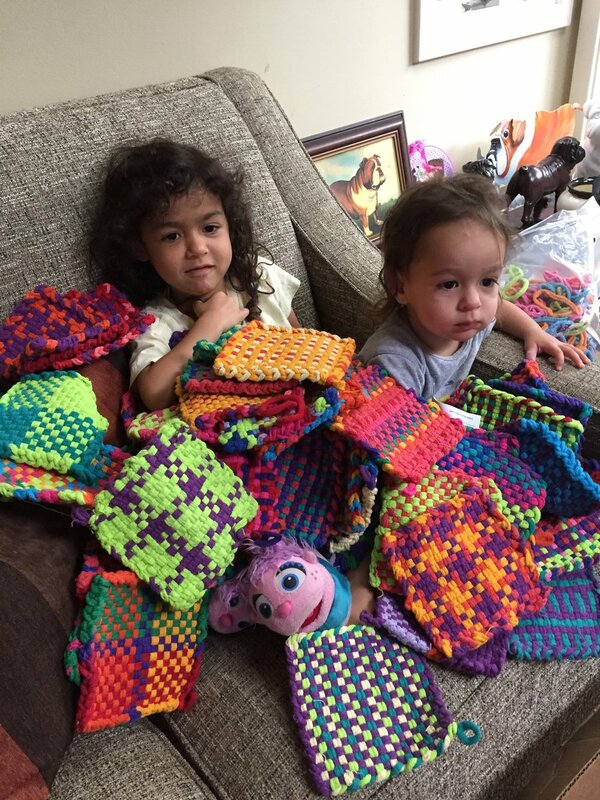 so for 14 months my nieces (under guidance from my mother) made over 100 pot holders. over christmas my mom and i ordered ribbon that read 'the redwood wedding of maggie and victor' and put a piece on each potholder. then during the cocktail hour my nieces passed them out to the guests. they had the additional benefit of serving as great drink coozies!